Tudors Times, Customs, Culture and People! This Tudors Times section traces the history and provides facts and information about the life and times during the Tudors period. Another comprehensive section covering the fascinating times of the Tudors. History, facts and interesting information about Crime and Punishment including info about the Star Chamber, the Crimes of Royalty and Nobles, Execution by beheading, the Punishment of being Hung, Drawn and Quartered and the Punishment of being burnt at the stake. Facts and information about the major and minor Crimes and Punishments of Poor Tudors including details of the execution methods. Religions - Catholic or Protestant? Catholic or Protestant? The Differences between the Religions, Religions of the Kings and Queens, the Changes in the Religions and Martin Luther and the Protestant Reformation. History, facts and interesting information about Education at Home, the Petty Schools, the Grammar Schools and University Education. Understanding the alphabet of the times makes it easy to read and understand old documents written during the times. The Tudor alphabet contained 24 letters, as opposed to the present day alphabet of 26 letters. Interesting Facts and information about Life in the Grammar Schools and a Typical week at the Grammar Schools. What was the Money and Currency and currency like during the reign of the Tudors? What was it worth in comparison to the money of today? 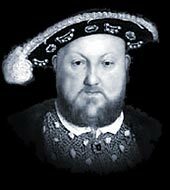 What were the wages of the Tudors like? List of Weapons including the Rapier, Guns, Canons and Firearms and Armor. The growth of the Navy under King Henry VIII, the Decline of the navy under Edward and Mary and the Elizabethan Navy and the Spanish Armada. Interesting Facts and information about Sailors in the Golden Age of Exploration, the Motives of the Sailors and the Names of Famous Sailors from England and Europe. Each section of this Tudors website addresses all topics and provides interesting facts and information about the Times and era. The Sitemap provides full details of all of the information and facts provided about the fascinating subject of the Tudors!